Commercial buildings constructed from solid logs or in timber Frame represent a new style of building that's environmentally friendly, more economic than steel and cement and is so aesthetically pleasing that it's desire is really starting to catch on. 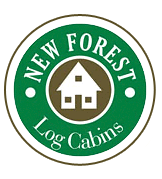 Here at New Forest Log Cabins we have extensive experience in designing and building log structures ranging from 40 sq mtr home offices to environment centres exceeding 500 sq mtr. The built-in flexibility of our design systems provide virtually unlimited options in layout and functionality. We look forward to helping you develop plans for a building which excites the imagination of the people who will have the pleasure to work in one of these beautiful log buildings. We designed this 8 apartment Hotel with an Alpine location in mind. Each apartment has two bedrooms and features balconies with view from both the front and back with built in Sauna's. Prices start from a little over £300,000 in 195mm Round Log fully erect ready to fit out with plumbing, electrics, kitchens and bathrooms. Here at New Forest Log Cabins we can design and build log structures such as this Picnic Area, but it could just as easily been a Beer Garden or somewhere to east your packed lunch at a Theme Park or Zoo. Larger structures such as Café, bars, shower blocks, visitor centres and picnic areas can be designed and built using round or square log. Give us a call or e-mail your requirements and we will design a structure to suit your needs. New Forest Log builts commercial log structures for visitor centres, restaurants, office buildings, retail sales, farm shops, scout meeting halls, cafes and lodges. As a commercial log building customer, you'll receive the same quality, service and commitment to excellence we provide our log home clients. A call to our Commercial Sales Department to request an information pack is a good start to constructing a log building for your commercial needs. Prices for Commercial Buildings to supply and construct are for guidance only and should be calculated based on an approx build cost of £850 per m2 for Insulated Solid Log or Timber Frame and include, double glazed Windows and Doors, Insulated Floors and Roof, Asphalt Roof Shingles supply of all materials to meet full UK Building Regulations. Please note that the guide prices shown above are per square metre and include the "Supply and Build". This is very important when comparing our costings with other companies who only give you half the story.